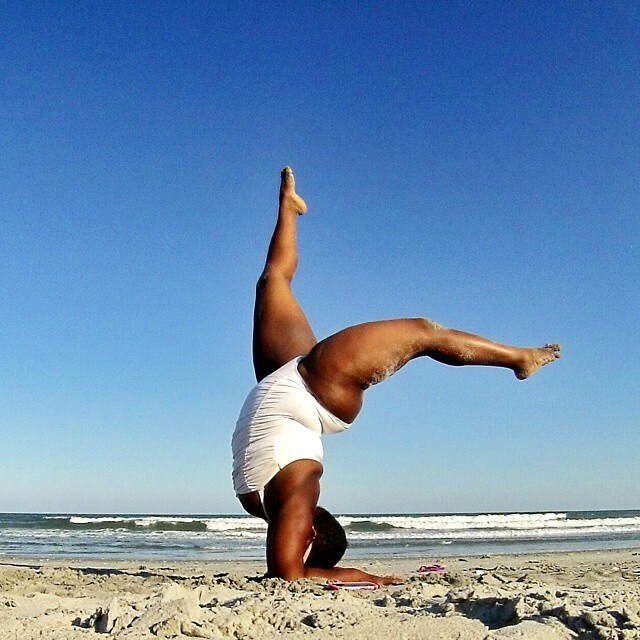 Queer “Fat Femme” yogi Jessamyn Stanley is challenging preconceived notions of what a Yoga body should look like. 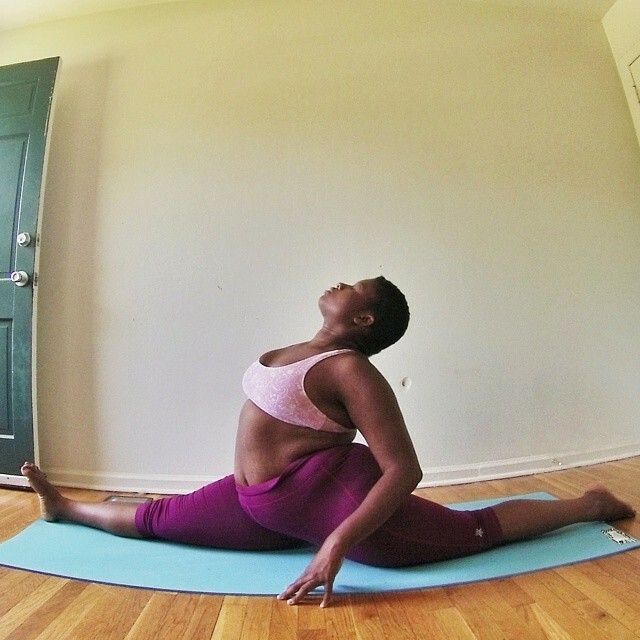 She stumbled upon Bikram yoga by chance in 2011 while at grad school through a Groupon offer, and was instantly hooked. 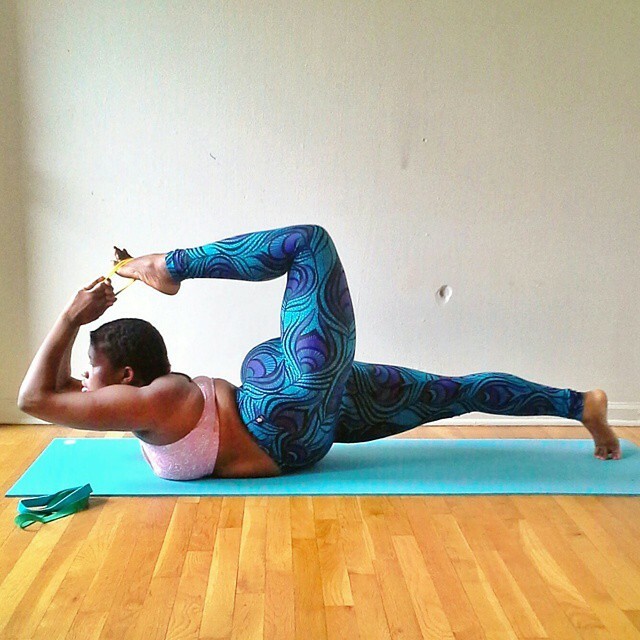 Now, the 27-year-old North Carolina resident is a certified yoga instructor herself, and has over 55,000 Instagram followers. I love this article. I found it to be both beautiful and inspiring. However, while viewing on the mobile version of this site, I found the fact that an ad for losing belly fat in the middle of an article for bodily acceptance to be confounding, if not insulting. Allow me to clarify. My comment has nothing to do with accepting "unhealthy conditions". I truly believe that being healthy (physically, mentally, spiritually) is important for all individuals, regardless of size. However, if we're being honest, the vast majority of individuals have no genuine interest in a person's actual health, particularly that of a plus-sized person. What we, as a society, are actually concerned with is the APPEARANCE of health, and the fact that the terms "obese" and "obesity" are used so readily to describe those who don't fit into the neat and tidy acceptable, social norm only proves my point. I found that this so-called "concern" is really thinly disguised, and therefore acceptable, fat-shaming. I do believe that there are those who genuinely care but also believe that the qualifiers of health may need to be redefined. I've even heard medical professionals say that the BMI chart is not entirely accurate. Whatever body type you have, may you accept it. I don't think boredpanda controls what ads show up... I'm assuming they're auto-populated based on the key words on the article. 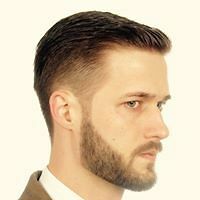 Appearance preferences come from subconscious knowledge. Just because someone prefers eating more cakes than taking care of themselves, that doesn't mean they can or even have the right to tell people what they should like. You're fat? There are people who like you like that, but don't expect everyone to just because you can't deal with your feelings of nonacceptance. And no, I don't mean thick. But most women won't make the differences between the various body types because it's comfortable. 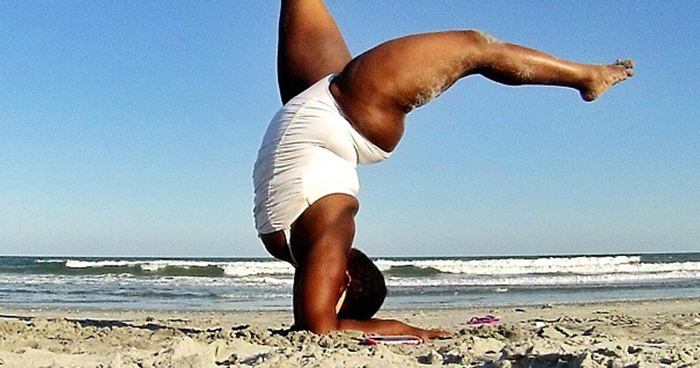 I think accepting our bodies does not mean to embrace obesity and other unhealty conditions. An ad doesn't help, anyway. I don,t think people should be ashamed of being fat but I also think it is not good for you. I have been overweight and know how it feels. I am 190 now and needy lose some more lbs so I can feel better. this is so amazing and inspirational! thanks!! omg!